Zdrastvujte, last week 9th to 11th November the trade fair of SN PRO EXPO took place in Moscow, and NUTREND was part of it. The fair was visited by many visitors and many of them wanted to have a photo with our new NUTREND Team member Ricardo "Rudeboy" Correia. At the booth you could also greet and take a picture of cute Valerija Slapnik. Visitors of SN PRO have been enjoying excellent 100% WHEY PROTEIN and 100% WHEY ISOLATE. Visitors could test the strength of the N1 pre-workout on themselfs, too. The stand was also stacked full of EXCELLENT, EVOQ and the tastings from the Endurance division POWER BIKE BAR and VOLTAGE ENERGY CAKE could be washed down with our UNISPORT. In addition to the photo sessions with Ricardo, Valerija and their fans at the booth, competitions where visitors could win t-shirts, shakers, and products samples were also very popular. The trade Fair SN PRO EXPO was successful for the Russians. 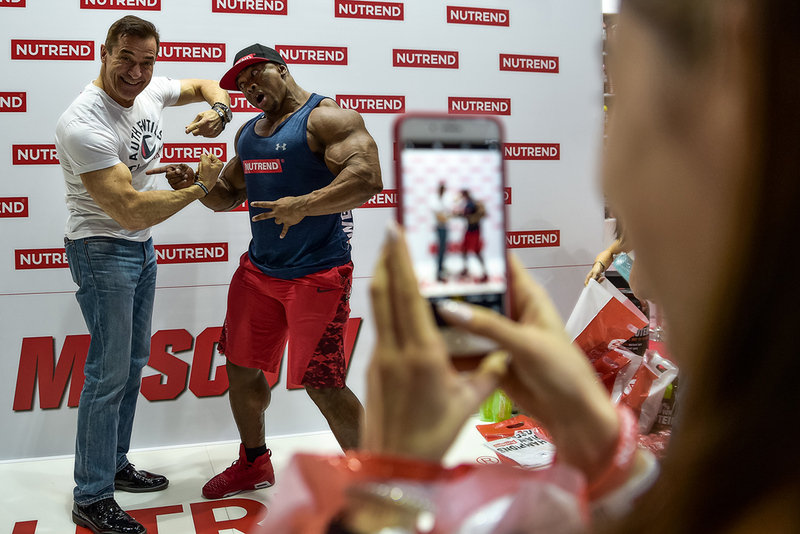 More photos from this successful event can be found on our social sites @nutrendbodybuilding.NUTREND, after a cold Moscow, we are now preparing for this year's last trade fair for our Company, which takes place in sunny Dubai, namely The Dubai Muscle Show. SN PRO EXPO in Moscow in view of our NUTREND Team.